Just too much bike for where I ride 95% of the time. 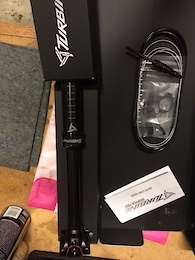 Almost stock package, stem and bar are from Race Face instead of Kona, grips are Renthal, Reverb remote is Wolf Tooth mechanical instead of hydraulic. Wheels and fork have about 10 miles on them as I used something different for the total of 144 miles I rode the bike. Ask any questions you’d like, purchased locally from Back Alley Bikes in Carrboro NC. Bought originally as full bike but built to my own specifications. About 550 miles on frame, 440 Miles on the boost Pike (120mm travel). Both in nearly perfect condition, no imperfections on the fork and very few scratches on the frame (a few on the inner chsinstays near the BB from 29x3.0 tires). Cane Creek 40 headset, New with the frame so in great condition. Stock seat post clamp included. 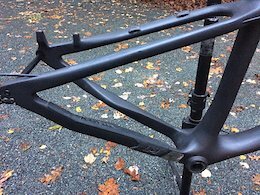 Has the 27.5/650b dropouts installed, and you can buy the 29” ones from Santa Cruz. Can include the stem (Chromag Ranger, 50mm 31.8) if it’ll help sell frame/fork. Thanks, hit me with questions or offers. A vest designed to be worn under your riding apparel that has 3 pockets like a spandex jersey as well as a large bladder pocket to get the camelbak off you. I have a set of bib shorts that are nearly the same, never used this vest/shirt. Excellent way to bring your stuff with you if you don't want to wear a jersey. Red Race Face waterproof riding shorts - bought from my local shop, have only worn them once and don't fit as I'd like. Honestly don't ride wet trails, so their waterproof nature doesn't help me at all. Size is medium, lots of premium options; adjustable waist via velcro, two zippered pockets, vented rear panels, adjustable bottom hem liners. 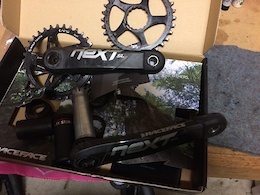 Generation 2 I believe, Stages XTR M9000 175mm left crank arm. In good condition, some scratches near the bearing preload bolt attachment, but obviously doesn't affect function. I used it twice, then sold the bike and it won't fit on the current one. Oh well. Barely used, boost spacing, 120mm travel Fox Performance 34 fork. 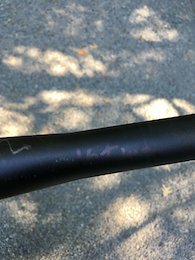 Came on a demo bike that I bought, so not more than 50 miles on it. Super clean, works perfectly. Steerer is 165mm, tapered. Shoot me any questions!